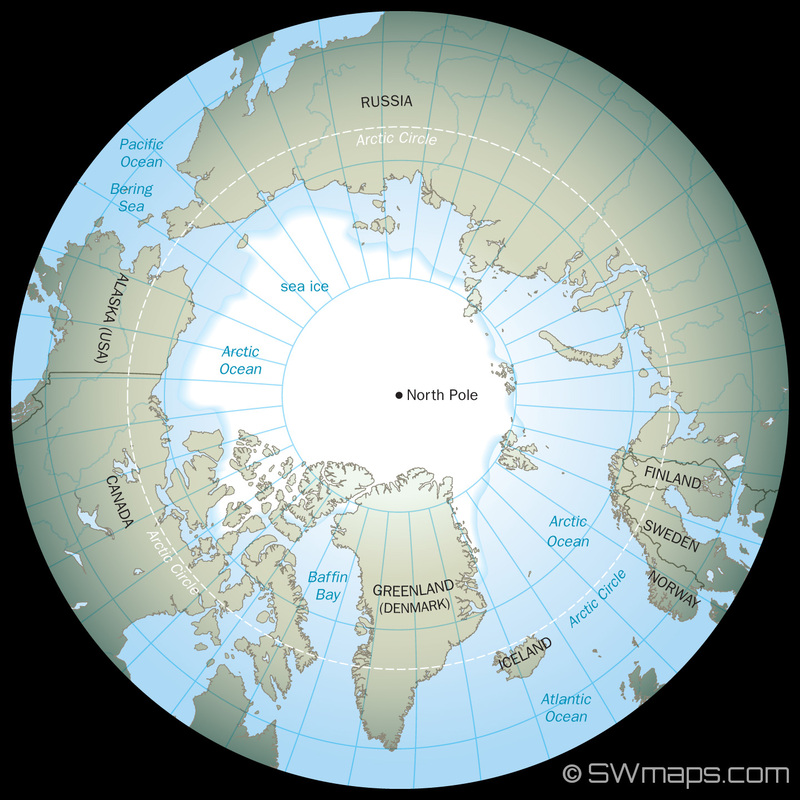 A generic map of the Arctic and North Pole showing North American, Asia and Europe continents. Countries of Greenland, Canada, United States, Russia, Finland, Sweden, Norway and Iceland. Arctic Ocean sea ice is also shown. View from straight above North Pole.